Looking for help with home improvements, like adding an addition or building in a deck? For residential remodeling, light commercial construction, or any significant construction needs, Husbands for Hire Construction is your dependable and affordable solution. Over the years, we’ve accumulated the knowledge and experience, along with the tools, to provide most construction services homeowners and small business owners need. 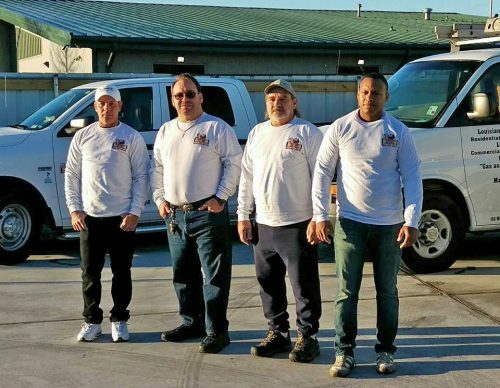 Our Crew is very knowledgeable in most areas of construction and remodeling, and we excel in most home repair needs including: Carpentry, Framing, Flooring, Fencing, Decks, Plumbing and Electric, termite damage repair, soffets and facia repair, sheetrock repair, water and wind damage, and more. Even if you don’t see your construction project listed here, call us for a quote on what you need. Husbands for Hire Construction is State Licensed as: Handyman Contractor, Residential Building Contractor, Commercial Building Contractor, Mechanical and Gas Contractor, and also maintains a Master Plumbers license. Call Husbands For Hire Construction for the best home improvements and light commercial construction in the New Orleans Area at (504) 401-0343!